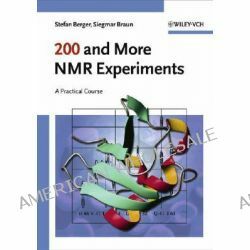 200 and More NMR Experiments, A Practical Course by S. Berger, 9783527310678. « A Brand New Day, Faith, Music, and Victory Over Autism by Brian Walden, 9781618626189. Informacje o 200 and More NMR Experiments, A Practical Course by S. Berger, 9783527310678. Produkt został dodany 17.12.2014 19:59. Ostatnia zmiana danych produktu miała miejsce 17.12.2014 19:59.